In a narrative enriched by hundreds of interviews and dozens of rare images, St. Marks native Ada Calhoun profiles iconic characters from W. H. Auden to Abbie Hoffman, from Keith Haring to the Beastie Boys, among many others. She argues that St. Marks has variously been an elite address, an immigrants’ haven, a mafia warzone, a hippie paradise, and a backdrop to the film Kids―but it has always been a place that outsiders call home. 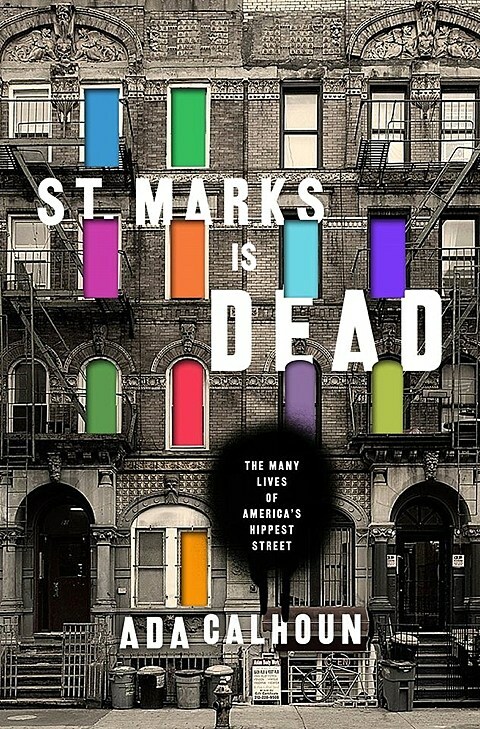 Ada Calhoun’s new book St. Marks Is Dead: The Many Lives of America’s Hippest Street is out now (description via Amazon above) and it’s being celebrated with a pretty cool release party at Cooper Union on Monday (11/2). Ada is giving an illustrated talk about St. Marks Place at the party and there will be free beer from Brooklyn Brewery, but most excitingly from a music standpoint, there will be a performance by the St. Marks Zeroes. Who are they? They’re a one-night-only punk cover band featuring Ada’s husband, aka rapper/performance artist Champagne Jerry, Champagne Jerry’s collaborator Adam Horovitz aka Ad-Rock of Beastie Boys, and Carmine Covelli of Adam’s wife Kathleen Hanna’s band The Julie Ruin. Special guests are promised, including drag king legend Murray Hill. The party goes from 6-8 PM on Monday and there’s an afterparty at the Barcade on St. Marks Place. More info here.